If you're both a huge fan of local hawker favourites and Peranakan cuisine, then the newly revamped Lobby Lounge at Shangri-la Hotel is definitely the place to be. 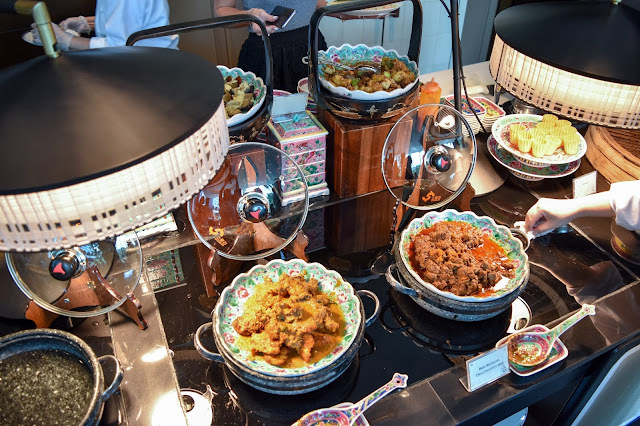 The latest Lobby Lounge now offers an enticing range of heritage hawker dishes - many that are often seen with snaking queues outside their stalls - and couples it with a semi-lunch buffet line which features a plethora of local dishes available with every order of a main hawker dish. 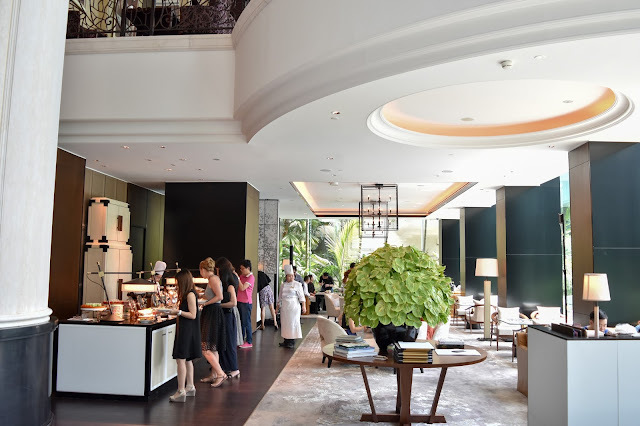 Not only is the new Lobby Lounge the ideal space for a laid-back afternoon meal, it is also perfect for an informal catch up with a foreign visitor, or a gathering of friends and colleagues to savour what Singapore's hawker fare has to offer. 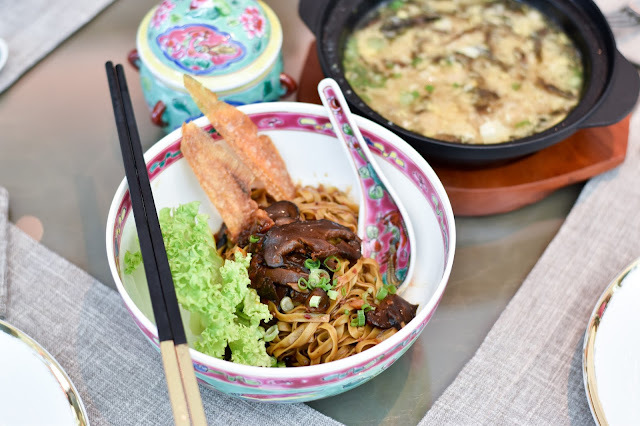 Together with Dr Leslie Tay, the chef at Shangri-la Hotel's Lobby Lounge presents an array of a la carte signature hawker dishes! 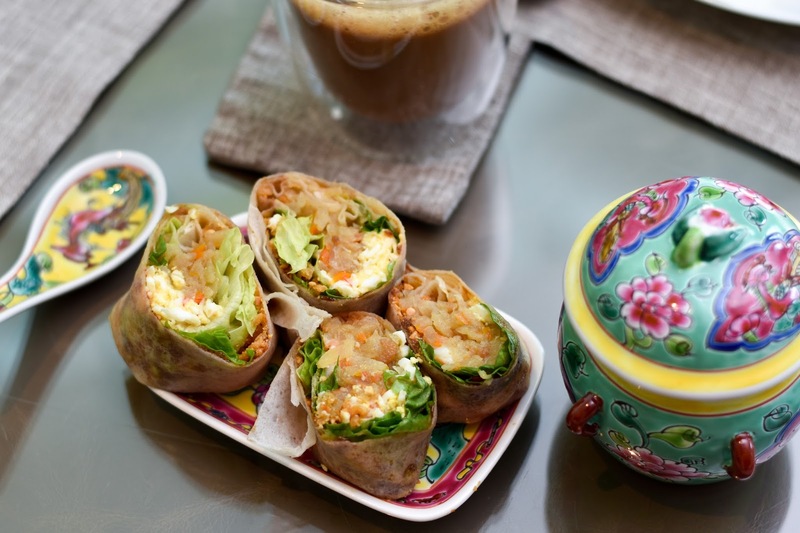 And, while you are waiting for your dishes to be served, you can also order up a drink or two! Our favourite was the 'Milo Over The Top' (S$8) which features a milo smoothie topped with a selection of favourite old-school treats and, not to forget, generous dollops of milo powder! The a la carte menu will feature six heritage hawker dishes which will be available from 11:30am to 10pm daily. 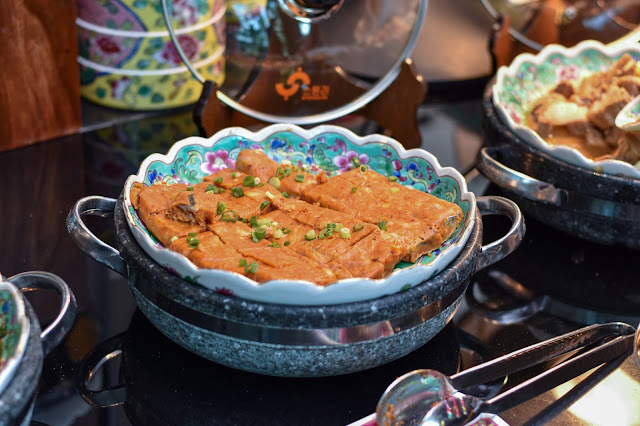 Else, you can also help yourselves to the semi-buffet lunch (S$38++) which allows you to pick one a la carte signature item and indulge in a wide selection of local appetisers and desserts with a focus on Peranakan favourites such as the Babi Pongteh, Otah-Otah and Kueh Pie Tee and Popiah that are prepared a la minute. 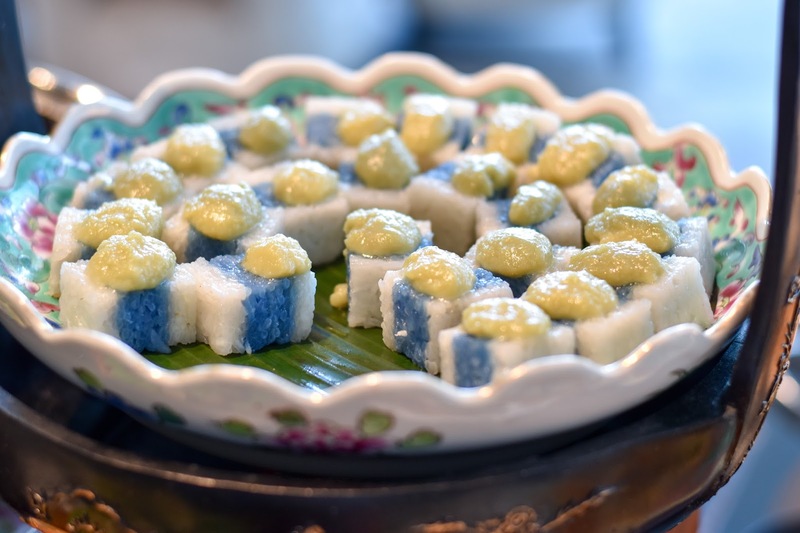 An assortment of Nonya Kuehs and Chinese desserts such as the Cheng Tng and Tau Suan are also available! 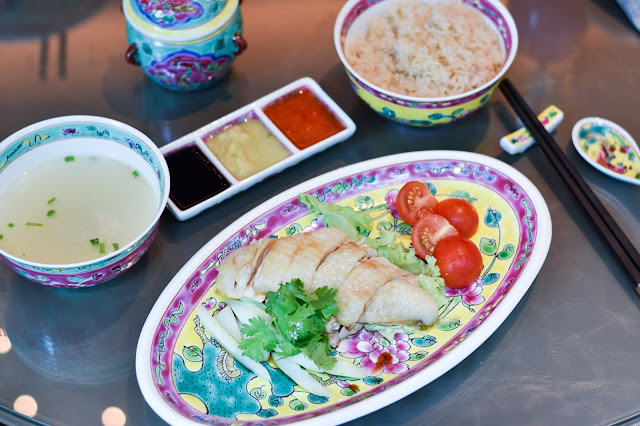 There, you'll never be bored of the menu because the items will change daily to excite the taste buds. The dish features a signature fish maw broth served in a heated claypot that is brewed from pork bones and dried sole, served alongside ingredients of minced pork, pork slices, egg, seaweed, and stewed mushroom slices. 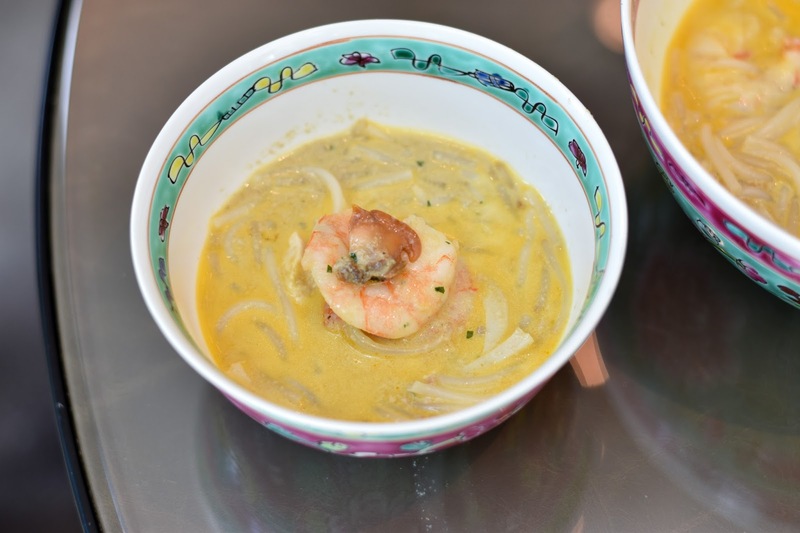 When it comes to signature hawker cuisines in Singapore, everyone will first think of the famous Katong Laksa which has survived through generations. 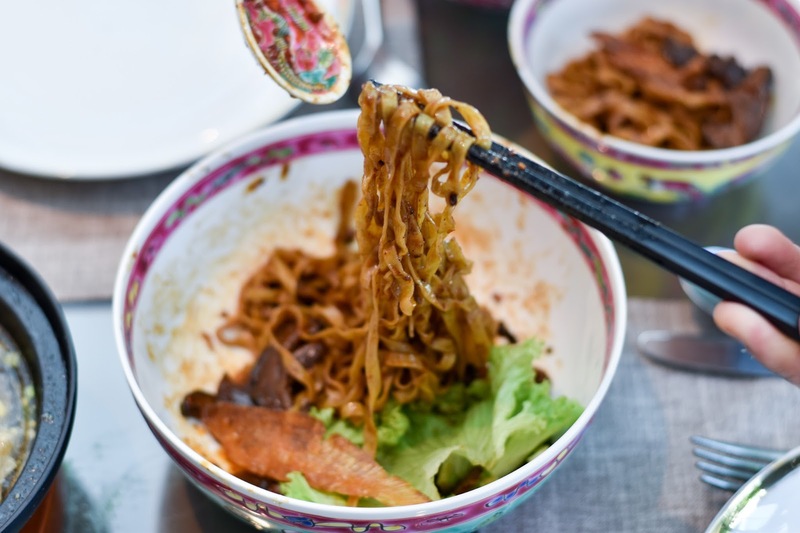 Here, the speciality lies in the short, thick rice noodles as well as the addictive Laksa broth prepared from coconut, flavoured with dried shrimp and fragranced with laksa leaf. And, of course, there has to be chicken rice when it comes to Singapore hawker fare, right? 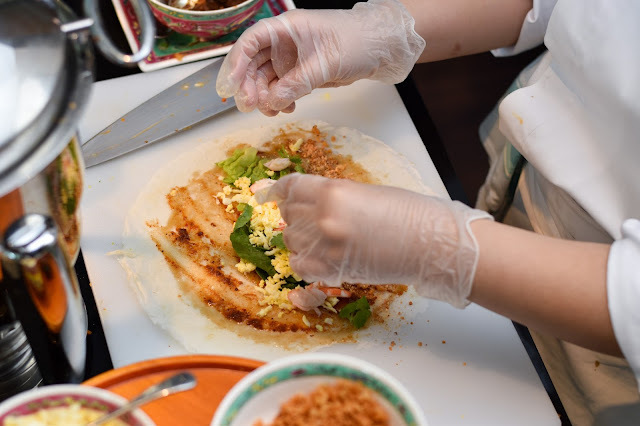 Not only can you indulge in fragrant chicken rice and feast on the succulent chicken pieces that have been cooked till tender, you can also help yourself to the semi-buffet line at an affordable price of S$38++! 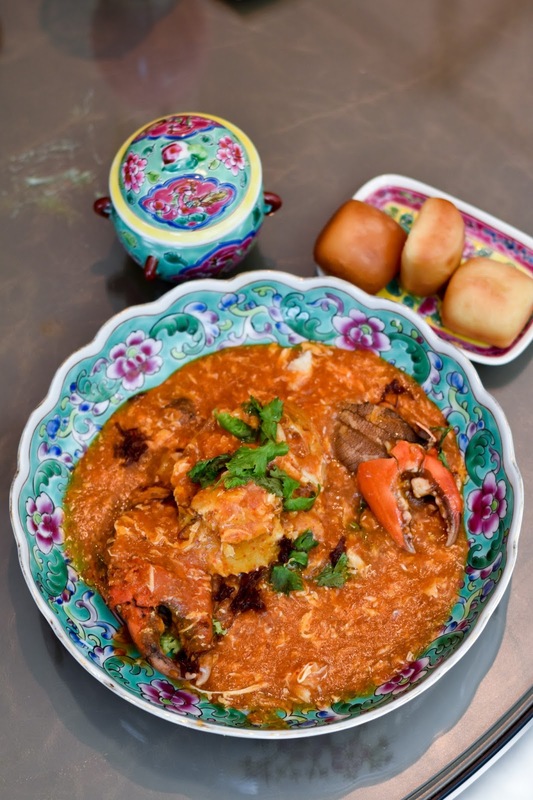 The Chilli Crab & Mantou at Shangri-la Hotel originates from a special recipe by Dragon Phoenix Restaurant's Chef Hooi. 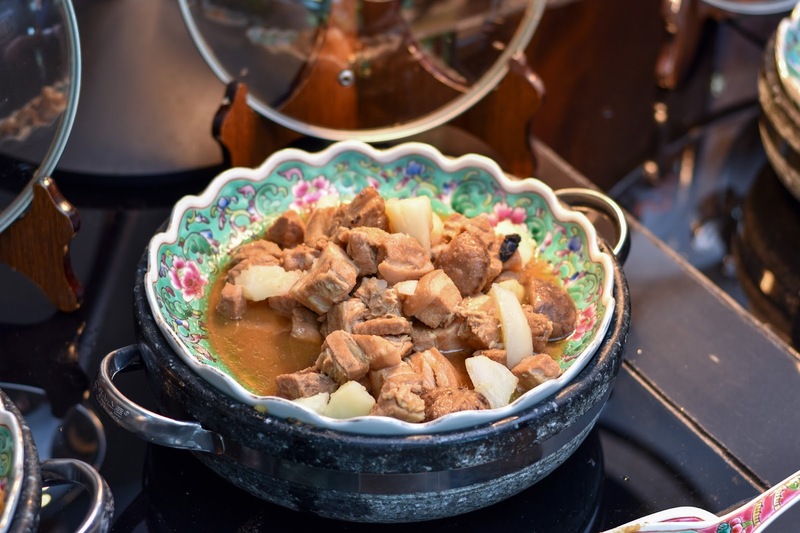 However, besides the usual sweet and spicy gravy, chef also added lime to the sauce, resulting in a slightly tart aftertaste - which might not suit the liking of some. 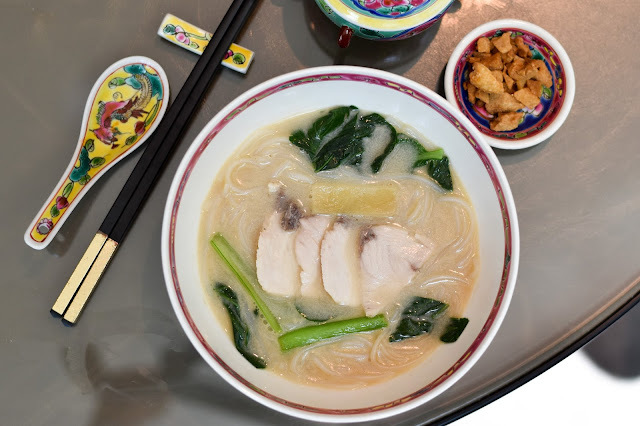 Even before trying out Kah Soh Fish Noodles at the buffet lunch, I've already heard lots of raving reviews about the broth that has been simmered till a milky finish - unlike the other stalls which choose to add carnation milk instead. The broth is first boiled using a plethora of 'secret ingredients' and more importantly, fish bones till the nutrients completely seep into base. The remaining sediments are then filtered out of the broth before being boiled with fish bones again till it reaches such a smooth and wholesome broth base. This was definitely my favourite dish out of the lot! 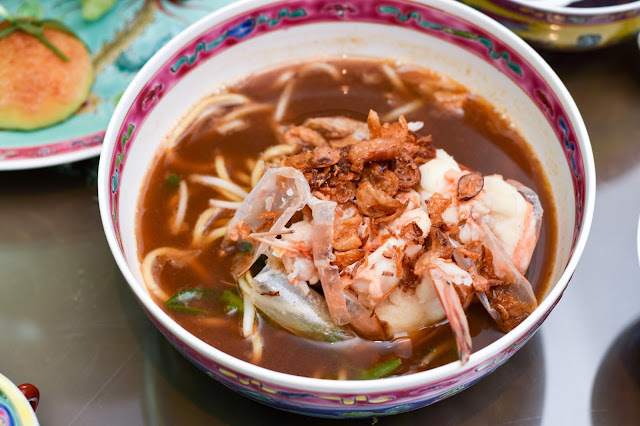 When it comes to prawn noodles in Singapore, the Beach Road Prawn Noodles will be no stranger to many. 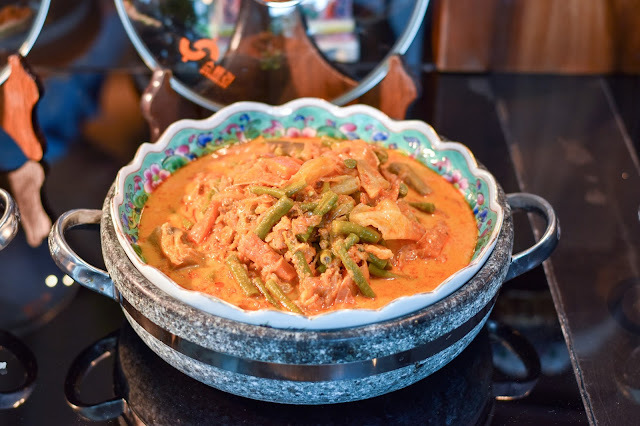 The recipe here is closely adapted to the original recipe, with the addition of tiger prawns to make it even more wholesome! 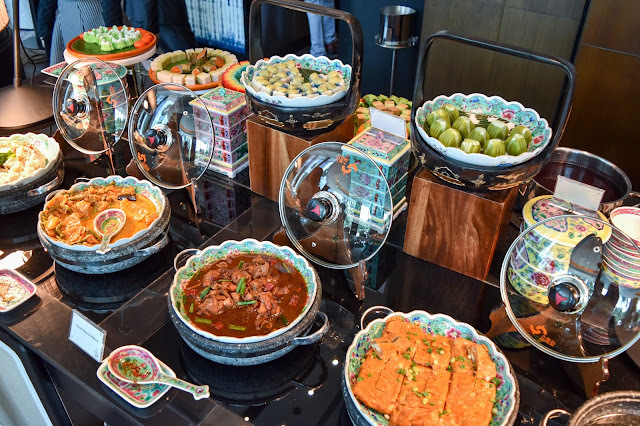 Check out some of the dishes + desserts served at the semi-lunch buffet! 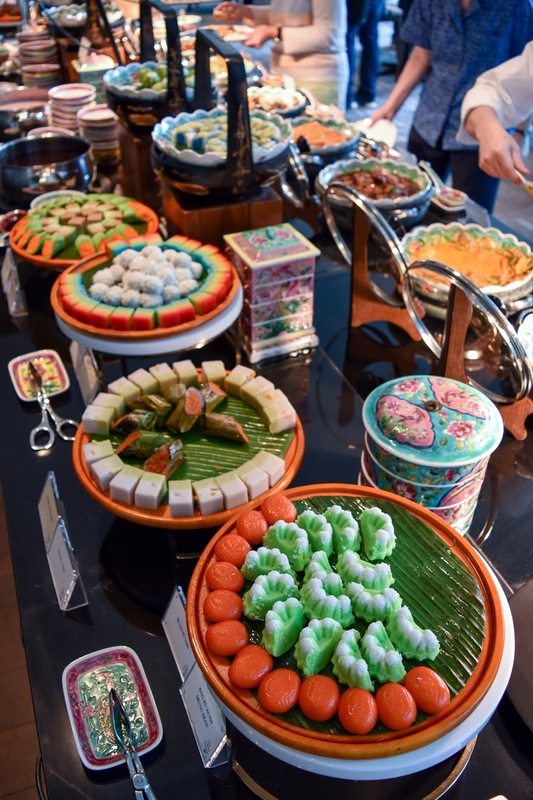 The buffet spread will feature an array of local dishes as well as Nonya kuehs + Chinese desserts! 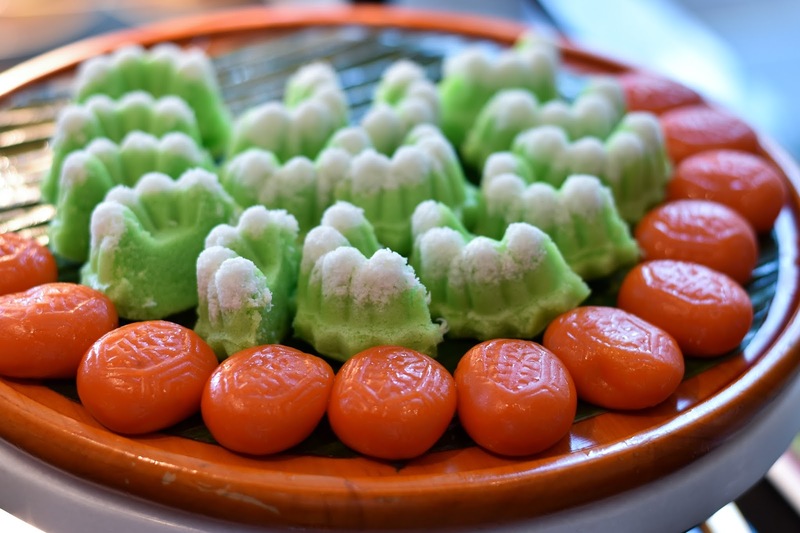 The assortment of Nonya Kuehs are mostly imported from HarriAnns (the Nonya kueh stall outside BHG at Bugis Junction! 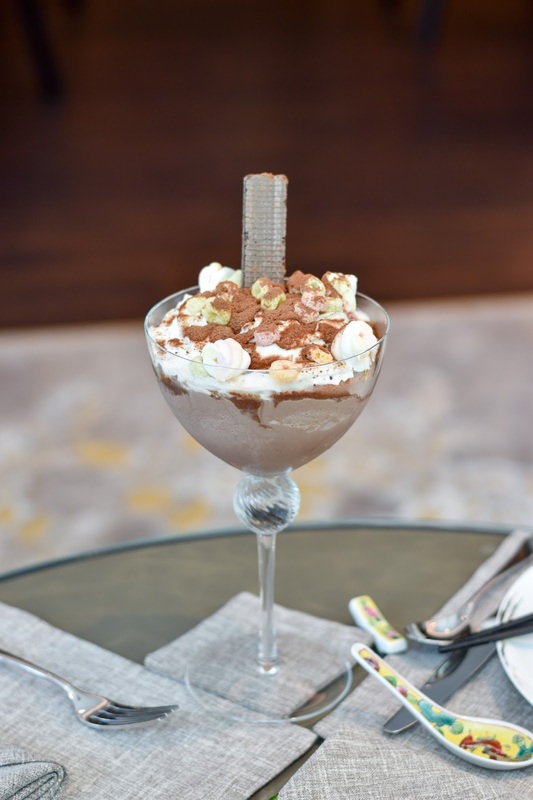 ), whereas the other desserts are prepared by the chefs at Lobby Lounge. 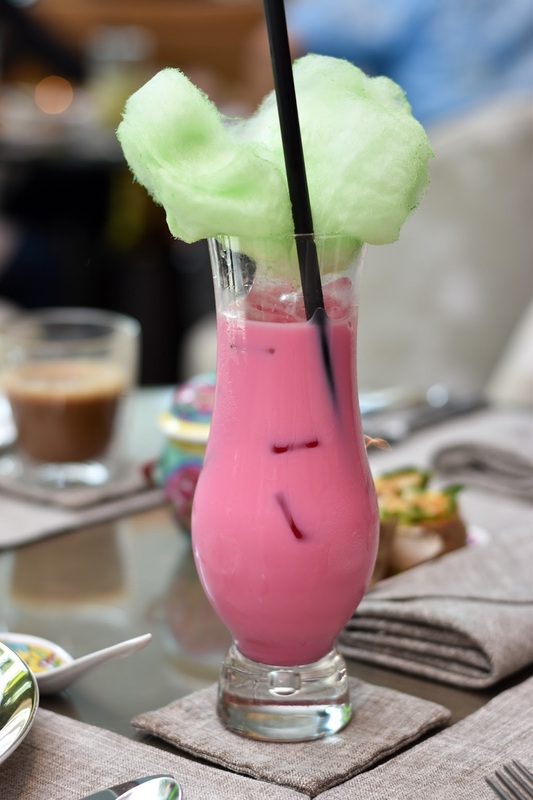 And, for those of you who are just craving for light snacks and desserts, you can also choose to opt for the Three-Tier Local Signature Set for a sumptuous Afternoon Tea which features local delicacies - also an array of Nonya Kuehs from HarriAnns + creations from the chefs at Lobby Lounge! 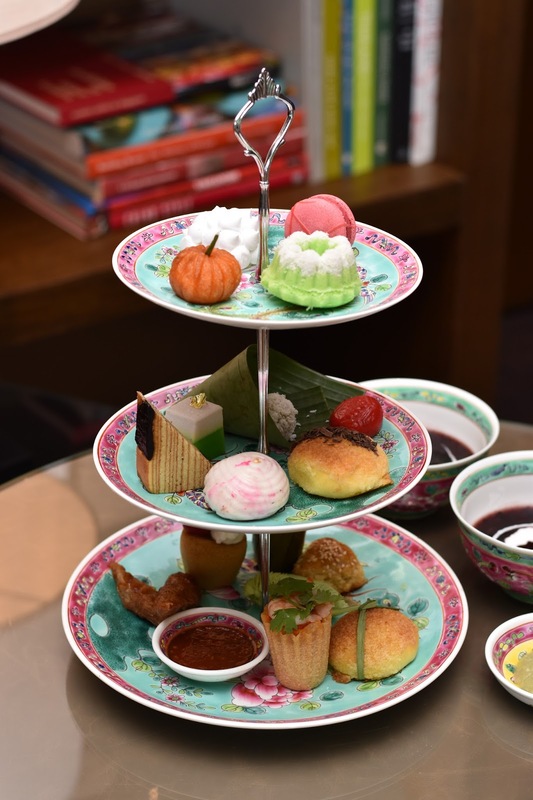 The Three-Tier Local Signature Set is available from 3pm - 5:30pm daily at S$30++. Also comes with your choice of coffee or tea. 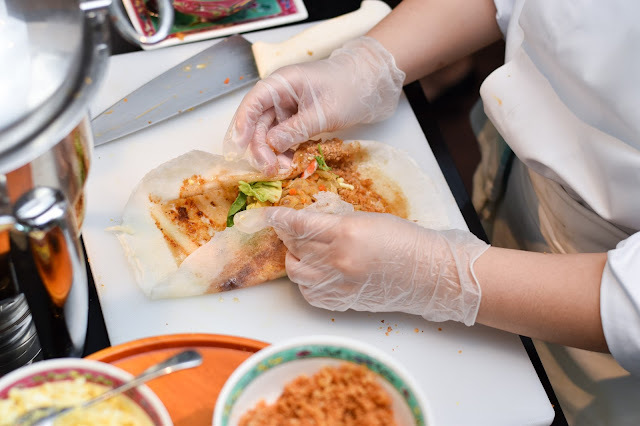 One of the signature items feature the East Coast Ngoh Hiang’s most popular item, it is a roll of minced pork seasoned with five spice powder, wrapped in tofu skin and then deep-fried till a golden finish. This was an invited media tasting with Shangri-la Hotel Singapore. Good guide thanks for sharing this whole guide of your tour, I really glad to see these all beautiful photos. 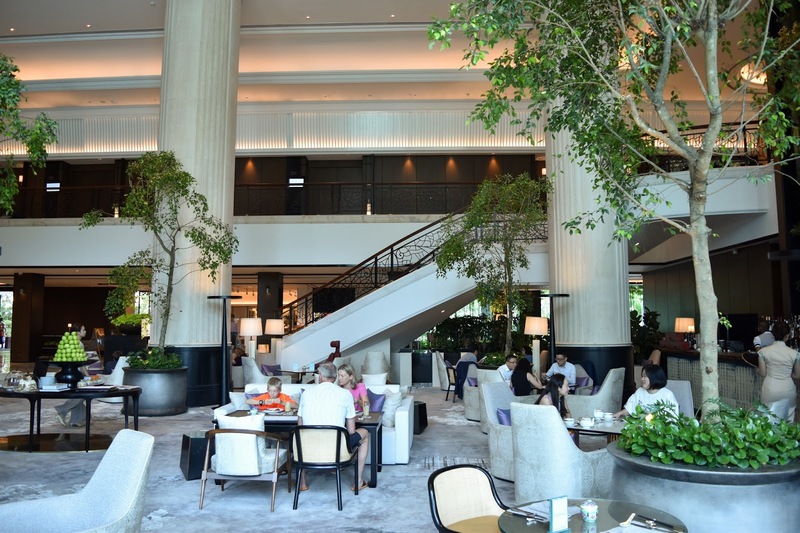 An AMazing palace, Thanks to giving this honest review of this hotel, Good guide keeps sharing. 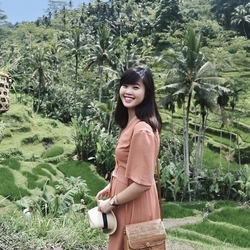 Good information for travelers i really glad to read your post, and i will share this information with my friends. hotels near centerville iowa Awesome blog.Thanks Again. Much obliged.